Welcome! I’m so glad you stopped by. I’d love to share why I use Young Living Essential Oils and how they could help you! I am Victoria Anderson Yannie – more often known as Vicki. I have been in the recreation-fitness-wellness profession for my entire career and have a passion for helping individuals towards their pursuit of fitness and well-being! Exercise and good nutrition are necessary for total well-being but they are not enough. The additional of essential oils can assist in our goals for physical, emotional and spiritual wellness! I find it important to research the best activities, products and services for my family, friends and clients. Therefore, I have chosen Young Living Essential Oils since they are the leading brand of therapeutic-grade oils available. They exercise quality control from the botanical seeds planted to cultivating, harvesting, and distilling. They use caution, care, and ethical guidelines in each step from seed germination, nurturing, and reaping the grown plants at just the right stage of growth. I am part of a great team of like-minded individuals with Young Living and we are here to help you and your family thrive! Please feel free to contact me with questions, concerns and/or an interest in ordering wonderful Young Living products! Essential oils are the “life blood of the plant,” and work similarly to how blood works in the human body. Essential oils support the plant’s wellbeing, protect it from insects, and help promote healthy plant cell function. Many of these benefits are available to us when we use genuine essential oils. They are so much more than a smell! 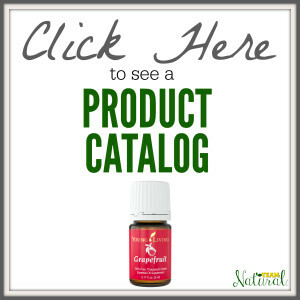 Download an informative essential oil factsheet HERE. As you can see, genuine essential oils can be a powerful addition to a healthy lifestyle! But with the options out there, what sets Young Living apart as the industry and quality leader? With 20 years of experience, Young Living is the only company in the US to grow, harvest, distill, and test their own essential oils, allowing them to offer a superior quality essential oil to their customers through their exclusive Seed to Seal® quality commitment. Using this superior quality standard, Young Living offers essential oils, essential oil infused health and wellness products, world-class skincare, and non-toxic personal care for the whole family. You can visit the Seed to Seal Website for additional details about how Young Living ensures the highest quality, most therapeutically active essential oils in the world. Why get your essential oils through me? You’ll be supported every step of the way! As much as you need, you will have my help and the full resources of Team Natural! I want to make sure that you get the best experience and most use from your oils that you can! Access to the Private Team Natural Facebook group. Ask all your questions and get answers from other oil users any time of day or night. One on one mentorship, if you wish it, to get the most out of your oil experience. An online essential oils e-course designed to take you from essential oil newbie to essential oil pro in no time flat! We call this Oily Training! Lots of other perks like educational phone calls, webinars, special freebie giveaways and much more! You get the best price on the products you want (24% off retail price). You can choose a Start Living Kit that contains products at an even deeper discount to get yourself started. No pressure to sell products to your friends and family (in fact, no one on Team Natural will ever ask you to sell anything)! You can feel free to just use the wholesale membership to get a discount on your own personal purchases. No required monthly purchases or renewal fees. Just keep your account active and you’ll keep it for life! The Wholesale Membership is an amazing deal! What are the Start Living Kit options? These are the three Premium Start Living Kits. They provide the best value for signing up! 98% of people who sign up for a kit pick the Premium Starter Kit with Everyday Oils, but you should pick the one that is right for you. If you’re not sure which one would be the best option, please contact me! I would be glad to help you decide. Ready to get your oils? Then go ahead and click below! *Make sure you choose Wholesale Member to avoid paying Retail prices. **Once you finish signing up, click here to get your Team Natural Resources. 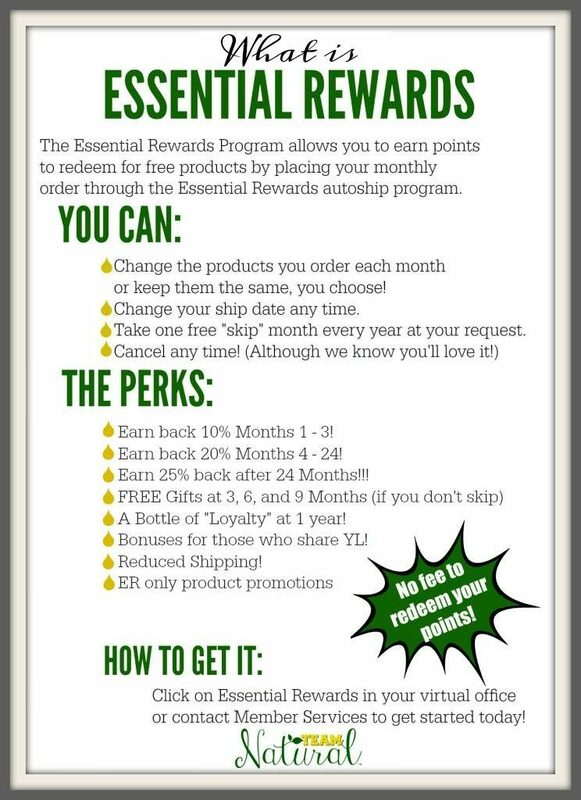 Essential Rewards is the optional loyalty program for members who are purchasing regularly. If you have a long “oil wish-list” you may want to sign up for Essential Rewards right when you register with Young Living. But if you want to wait until later, you may join Essential Rewards, free of charge, at any time in the future. 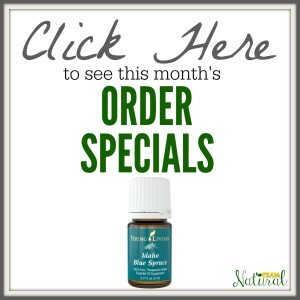 Are there any order specials this month? Yes, every month there are order specials. Click on the icon on the left to be taken to this month’s current specials (make sure to hit the back button to return to this page when you are ready to sign up). The first level of order freebie is available at 190 PV (point value). You will have 100PV automatically if you purchase a premium starter kit. Then you simply add 90PV in other products to receive the free product described on the Order Special page. There are also free products available at 250PV and 300PV. These bonuses are described on the Order Special Page. For more detailed questions, please contact me through the contact form above. How do I get access to the essential oil e-course and Team Natural Facebook group, and other team resources? Make sure you click this link and fill out the form to get this information delivered to your email inbox. Make sure to include your new member number that you received when you finished your account registration. You can also find your member number in the email you received from Young Living. Once you’ve filled out the form you should receive your Team Natural Welcome email within 2 business days. If you haven’t received it by then, make sure to check your junk or spam folders. Can I really just use this wholesale account for my own purchases? Yes. No one will ever pressure you to do anything more. Enjoy your discount and all the team benefits! No, there is a Basic Starter Kit that you can choose, but they do not contain the Everyday Essential Oils Kit, and may not qualify you for certain sign-up promos. They do, however, qualify you for the 24% member discount on all of your future purchases! You can find more details on the sign-up page. No. You can buy what you want, when you want. It only takes one purchase of 50pv (approx. $50 before tax/shipping) in a 12 month period to keep your wholesale membership account active for the next 12 months. You’ll probably use up your favorites long before your account ever lapses, so you can just buy what you want when you need it, no strings attached! If you find that you are purchasing every month anyway, there is an option called Essential Rewards that lets you earn a percentage back on your purchases and the option of discounted shipping. But it is optional, and is meant for those who would like to order regularly. Can I shop other products before I sign up? Of course! 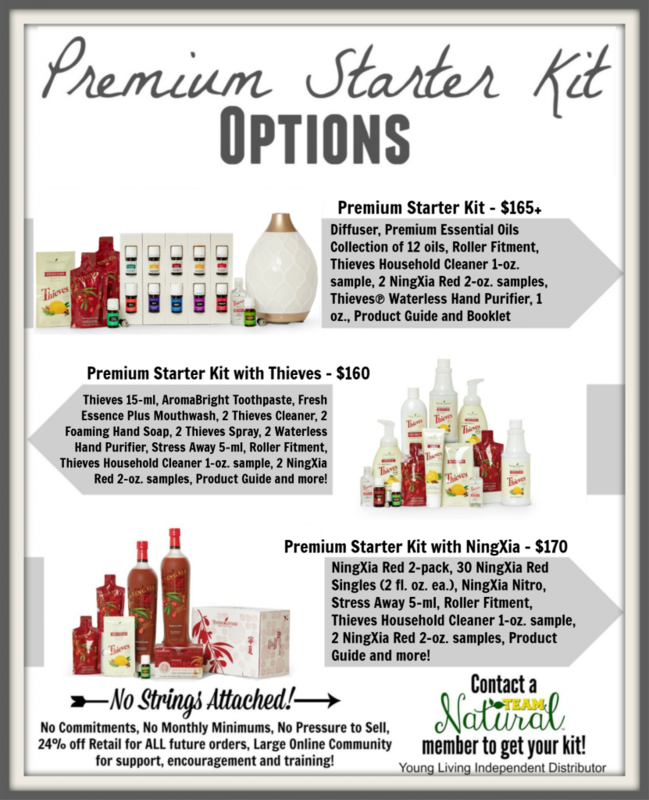 Young Living offers hundreds of quality products that you may want to add to your premium starter kit purchase. You can investigate these products and see the savings that you will get with your new wholesale membership account. You can view a product catalog and price list to make your selections before you return to this page to complete your account registration. If you have any questions about potential product uses, please make sure to contact the member who sent you to this page. There should be a contact form for you to fill out above. Can I sign up for a Wholesale Membership without giving my Social Security number? 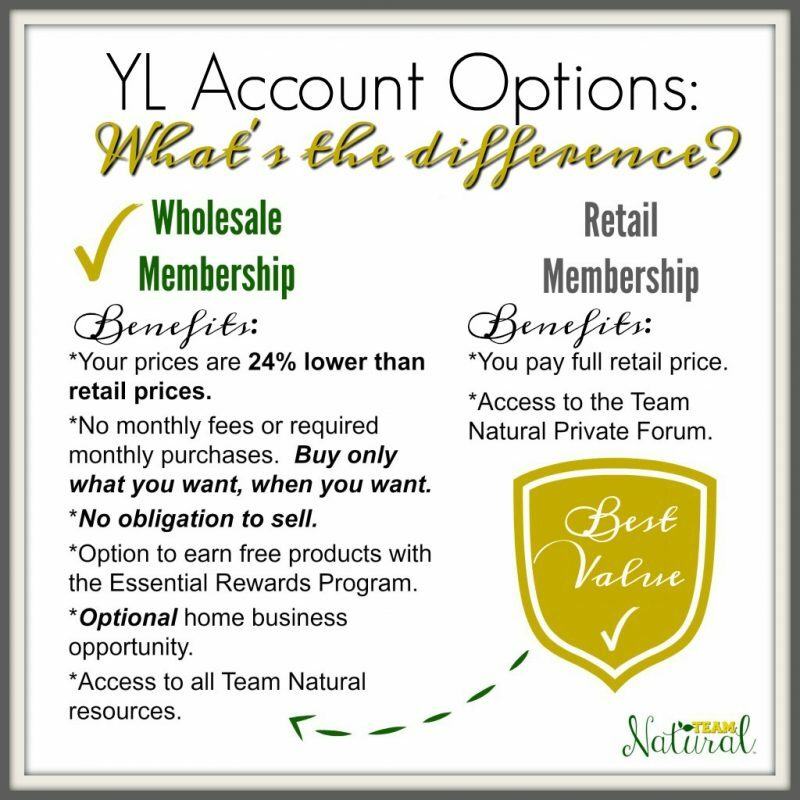 Young Living graciously allows anyone who wants to have a discount to use the wholesale membership account for their personal usage. However, because there is always a potential for a person with a wholesale membership to earn money by sharing Young Living, the IRS requires YL to collect a tax ID number to keep on file. If you don’t share and get a check, this information will never be used, and the information will be stored in secure servers in accordance to national business standards. However, we understand that some people would prefer not to give out their Social Security numbers, even though it is securely stored by Young Living. The IRS allows you to get an EIN in minutes for free that you can use in place of your SSN when registering. To get an EIN to use instead of your Social, you can click through to this link and the IRS will issue you a number you can use when you set up your Young Living account. Most people select the sole-proprietor option when they request their EIN. You may also choose to register for a retail membership if you prefer. There is an option for everyone! *This page contains affiliate links. This is my home based business and every purchase through my link benefits me, but you still pay the same low price. Thank you so much for your business!